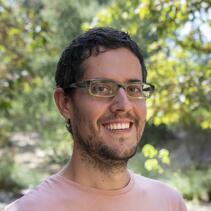 Dr. Iñigo Valiente-Alandi serves San Diego Zoo Global as a Researcher in Conservation Genetics. As part of the northern white rhino initiative, he utilizes bioinformatics approaches to understand the biological relevance of gene expression and genomic differences during the differentiation of rhino induced pluripotent stem cells (iPSCs) to primordial germ cells (PGCs). His expertise in stem cells, molecular biology and biochemistry as well as his growing knowledge of whole genome sequencing analysis and annotation, transcriptomics, gene networks, epigenetics and reporter line generation, contribute to the characterization of rhino iPSCs and PGCs. He is also interested in investigating how pluripotency and development have evolved in animals utilizing functional and comparative genomics. Iñigo earned his Master’s degree in Molecular Biomedicine from the Autonomous University of Madrid, focusing his research on the role of microRNAs in cardiac stem cells differentiation. He earned his doctorate degree at the Spanish National Center for Cardiovascular Research, in Madrid, where he identified a novel adult cardiac stem cell population capable of differentiating to cardiomyocytes in vivo. He continued his training as a postdoctoral fellow at Cincinnati Children’s Hospital, where he studied the role of cardiac extracellular matrix in ameliorating heart failure and characterized cardiac fibroblasts in mouse and human failing hearts utilizing transcriptomic approaches. Iñigo is excited to be starting a career where he can combine his passion for conservation and wildlife with stem cell and molecular biology.